Food tech companies have made getting meals delivered easy and hassle-free, but they’re paying through the nose to get it done. Zomato has said that it loses Rs. 25 on average on each delivery it makes. That means that Zomato pays its fleet an additional Rs. 25 over and above any delivery fee it charges its customers. Zomato goes on to say that its last-mile cost for delivery is currently Rs. 65, which would imply that if Zomato were to simply break even on its delivery costs, it would need to charge Rs. 65 per delivery. Paying Rs. 65 per delivery isn’t something Indian customers are accustomed to — some food delivery apps make free deliveries, while others typically charge between Rs. 10 and Rs. 30. Luckily for Zomato, the Rs. 65 number isn’t set in stone — the company says that last year, this cost was Rs. 86 per delivery, but they managed to bring it down because of better utilization of their delivery fleet. In 2018, Zomato’s delivery executives made 0.9 deliveries per hour, while in 2019, they made 1.4. This has helped the company bring down its costs for each delivery. But like these numbers show, there’s still a long way to go. While delivery costs aren’t the only contributor, Zomato netted losses of over Rs. 2000 crore in FY19. This was up more than 24x over the previous year, while its revenue rose a meagre 3 times. Zomato says it’s making losses because it’s expanding into newer markets, and would hope that the customers it acquires will continue ordering from its app even when it ultimately tries to break even. However, it is unlikely that other players like Swiggy, UberEats and Foodpanda will sit idly by while Zomato raises its prices to help its business break even — they’ll keep undercutting existing players, making it hard for any of them to the profitable. What might ultimately help the entire space right now is consolidation. 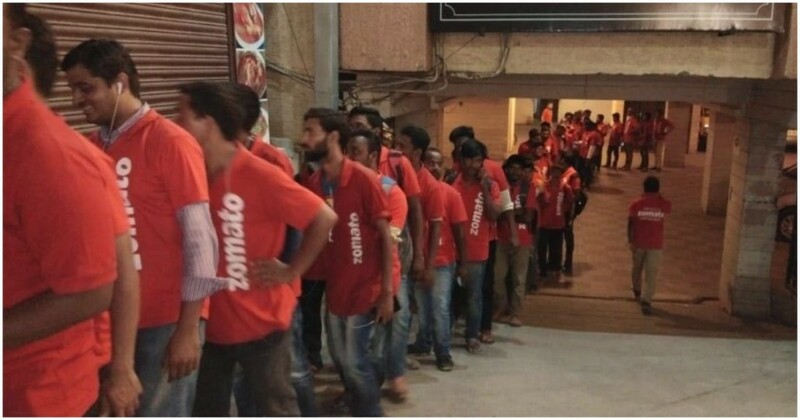 Right now, there are four players running their own fleets: a Swiggy delivery executive might be right next to a restaurant a Zomato user has ordered from, but their food will be delivered by the nearest Zomato executive. If some of these food delivery companies merge, they could combine their fleets, and the ensuing economies of scale could help the combined entity bring down costs per delivery. But India’s food delivery consuming public might end up winning either way — as long as several players are in the fray, costs are going to be low, and if these companies merge, they might be able to offer lower prices anyway. No matter which company ends up dominating India’s foodtech space, the Indian consumer might just end up being the winner.